Although part of the IAP-SOCENT research program, the International Comparative Social Enterprise Models – ICSEM – Project is considered as a major research project on its own. The main specific feature of the ICSEM Project is its geographic coverage: it aims to compare social enterprise models and their respective institutionalisation processes across the world. It thus relies on the participation of a large number of researchers from all regions, who contribute country-specific or field-specific analysis of social enterprise models. Of course, contributions comparing social enterprise models in two or more countries are welcome as well. The ICSEM Project was officially launched on July 5, 2013 just after the 4th EMES International Research Conference held at the University of Liege, Belgium. The Project now involves over 200 researchers from some 50 countries. The ICSEM Project is jointly coordinated by two founding member of EMES, Jacques Defourny (CES – University of Liege) and Marthe Nyssens (CIRTES – Catholic University of Louvain). Other coordinators will be associated to cover some regions, fields or sub-themes. The EMES International Research Network will play a particularly important role in the ICSEM Project. 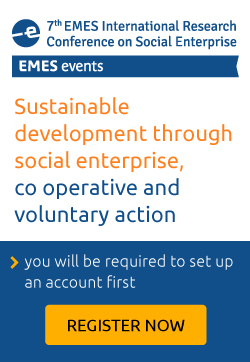 Indeed, the EMES Network has developed many formal and informal partnerships and collaborations, and all researchers who are or have been involved in the latter are particularly invited to join the ICSEM Project and to propose country-specific and/or field-specific contributions on social enterprise models. 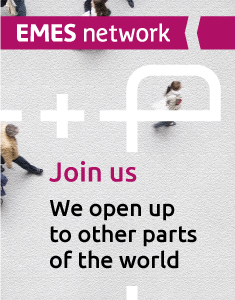 However, other researchers interested to join the ICSEM Project are also welcome; they will find in the Project opportunities to become part of a large international research community, and their participation will also allow them to get closer to the EMES Network. Moreover, events jointly organized with EMES will serve as main contact places and meeting places for the joint work sessions that will be held during the whole duration of the ICSEM Project. After the first Eastern ICSEM Symposium in Wonju, South Korea, last July 4th-6th (see some results here), the second Western ICSEM Symposium will take place in La Roche, Belgium next October 9th-10th, 2014. Around 70 researchers from 25 countries will participate at the symposium. The program of the event will be shortly published. These first two ICSEM regional Symposiums are intended for the research teams involved in the ICSEM Project to present and exchange about their first Working Papers, to be written along the lines described in the proposed work plan for the first phase (2013-2014) of the project.